These fellowships are designed to motivate talented and meritorious medical and allied sciences postgraduates to take up Ph.D. Research on a full-time basis at the constituent colleges/faculties of Sri Ramachandra Institute of Higher Education and Research (Deemed to be University). The Deemed University offers 20 Fellowships, each carrying a stipend of Rs.12,000/- p.m. with a contingency grant of Rs.25,000/ p.a. 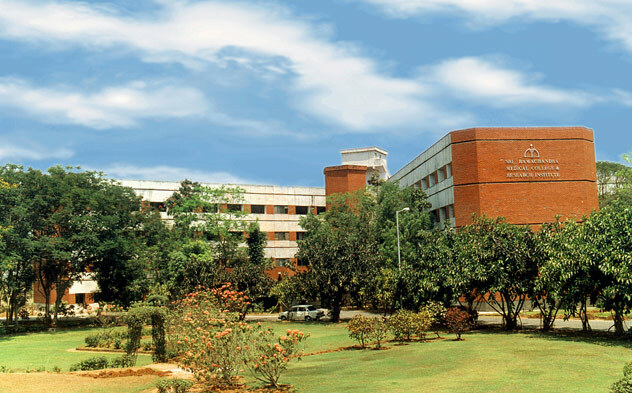 for a period of 3 years for candidates undertaking research on full time basis for the Ph.D. program of the Deemed University in the several disciplines including Medicine and Surgery—all branches and Basic Medical Sciences/ Dentistry/ Pharmacy/ Nursing/ Human Genetics/ Biomedical Sciences/ Biotechnology/ Bioinformatics/ Physiotherapy/ Management/ Allied Health Sciences/ Audiology and Speech-Language Pathology/ Clinical Nutrition/ Clinical Psychology/ Optometry/ Trauma Care Management/ Public Health/Sports and Exercise Sciences. The fellowships will be governed by the terms and conditions prescribed and are tenable only at Sri Ramachandra Institute of Higher Education and Research (Deemed University). The fellowships will be advertised in newspapers and also on the Deemed University website along with the Ph.D. admission notification. Candidates shall apply for the fellowship in the prescribed application. The applicants will be required to appear for Entrance Examination (written test and personal interview). A merit list of candidates qualifying (aggregate of 50% of marks or more in written test and Interview) will be prepared. Depending on the number of candidates, a shortlist of candidates will be called for counselling. Selection shall be based solely on merit and on all-India basis. The marks/grades scored at the postgraduate examination will also be taken into account for the selection process. A Selection Committee with experts as may be co-opted, will be constituted for the selection of students for the award of the fellowships. (b) Candidates already holding Research Fellowships: Candidates with UGC/CSIR/ICMR/DBT/DST NET-JRF/AICTE-GATE/AYUSH/INSPIRE Fellowship or having qualified other UGC recognized national eligibility test with a valid fellowship at the time of entrance exam or who work in funded research projects as JRF/SRF in the Deemed University are EXEMPTED from appearing for Entrance Examination and interview and they will be called directly for counseling and admission. However, they should submit application and prescribed fee on or before date as indicated in the notification. In all cases, the decision of the Vice-Chancellor shall be final. Candidates should go through the Regulations carefully, to ensure that they meet eligibility criteria for Ph.D. Degree program as an Internal or External Part-time candidate. All candidates have to appear for Entrance Examination (written test and interview). Those who score 50% of marks or more in the Ph.D. Entrance Examination (written test and interview) will be called for counselling. The procedure prescribed for provisional registration in the Ph.D. Regulations shall be applicable to these candidates after counselling and admission. Candidates wishing to apply for admission to Ph.D. program under Full Time (seeking Founder-Chancellor Shri N.P.V. Ramasamy Udayar Fellowships) and Part Time (internal and external) categories will have to qualify through entrance examination. Performance of the candidate will be calculated on written test (70% weightage) and interview (30% weightage). Interview will be conducted for each candidate after the entrance exam, the exact date and time will be intimated later. The qualifying marks for provisional admission to Ph.D. program is 50% in the entrance examination i.e. aggregate of marks obtained in written test and interview taken together). (b) The duration of the examination will be 2 (two) hours. (c) The Entrance Examination will be conducted in ENGLISH only. The question booklet will consist of 120 multiple choice questions (single best response). (d) The written test will have two sections, Section A & B.
Medicine/ Dentistry/ Pharmacy/ Nursing/ Physiotherapy/ Biomedical Sciences/ Management/ Allied Health Sciences/ Public Health. The candidates will indicate the selected faculty in the application form. The Section-B will have 75 questions and the candidate may attempt any 60 questions. The first 60 questions attempted will be considered for evaluation. (e) All questions carry equal marks. There will be no negative mark for wrong answer. Correct answer number must be shaded with black Ballpoint pen in the OMR Answer Sheet supplied along with the question booklet.